ESOMAR Foundation announced today it had awarded its second 2014 Local Initiatives Programme grant to Indonesian local charity Bali Kids. The grant, of €5200 has been earmarked to support the Bali Kids’ medical programmes helping increase access to medical care for disadvantaged children. Bali Kids opened in April 2005. The project provides a clean, safe environment for orphans requiring special care. 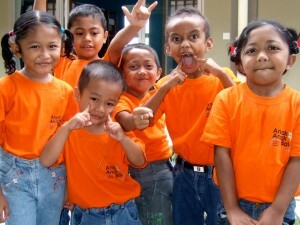 The centre is open to any children registered in Bali’s orphanages who need medical attention. Children from the local village projects, whose family hold a ‘poor family card’, can also receive free treatment and care. The grant will providing financing towards a new medical team composed of a doctor, nurse, and a driver for a year. Both ESOMAR Foundation and Bali Kids are delighted to be able to provide a broader medical care service offering for children. Both organisations will be communicating the achievements of the project in the hopes of inspiring further support to the programmes of Bali Kids.